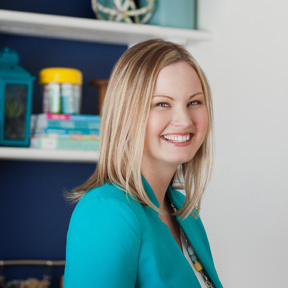 Editor’s Note: Today, I want to welcome Megan, from Rappsody in Rooms. 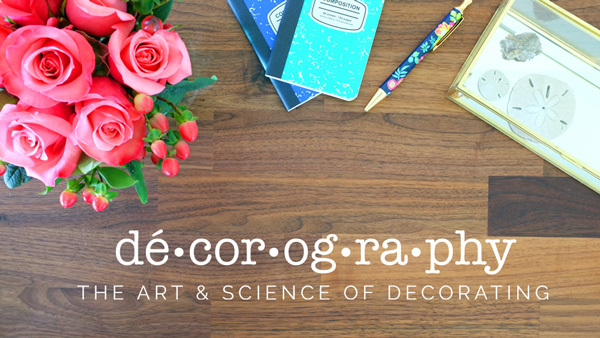 Megan does all kinds of different DIY and decorating projects on her blog, but I am always impressed with her craft projects. I asked Megan to contribute to a series called “Craft Tips and Tricks”, realizing a more seasoned crafter might have a thing or two to share with the rest of us. And, today she is helping us get ready to craft. I totally agree with Megan, nothing zaps my creative energy more than having to run to the craft store just to get a project started. I believe that everyone approaches crafting differently. Sometimes it is highly anticipated, with time carefully carved out of a day to spend gluing, painting, and creating. For others, the crafting urge can come spontaneously. Sometimes life just needs to take a backseat while you fire up the glue gun and craft your heart away. Whether you fit into one of those categories or somewhere in between, I bet you feel like your crafting time is some sort of release. A time where you let your creativity flow and it is just you time – or a special “us” moment shared with a friend or child. Crafting is a special time to just relax, let things go, and let the creativity flow from your fingertips. You don’t have the supplies you need to start crafting! Suddenly, your relaxation turns into frustration and creativity comes to a crashing halt! Huffing and puffing, and a few choice words might even happen. Buh-bye special time. 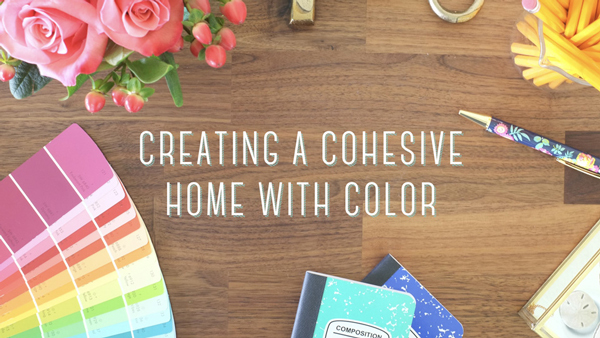 The best way to avoid the frustration that comes from not having the supplies you need is to be prepared with an arsenal of go-to craft supplies, so when your project urge hits you can get right to it. Download the checklist now before you hit the shops. So, now that you have read through the list, don’t freak out! There are a lot of supplies on that list…38 to be exact. You may be starting to see dollar signs flowing from your pockets. Don’t worry. There’s a way around that. First, print off the crafter’s checklist and go to a dollar store. Yes, many of these supplies can be found there, and it’s okay to buy them cheap. A glue stick is a glue stick. I’ve put a star next to each of the items you can typically find at a dollar store. After one quick trip, you will feel like you have quite the craft supply and probably spent under $20. Never buy anything at craft stores for regular price. Plus, remember they take competitor’s coupons, so look at all the store coupons and use the best coupon. 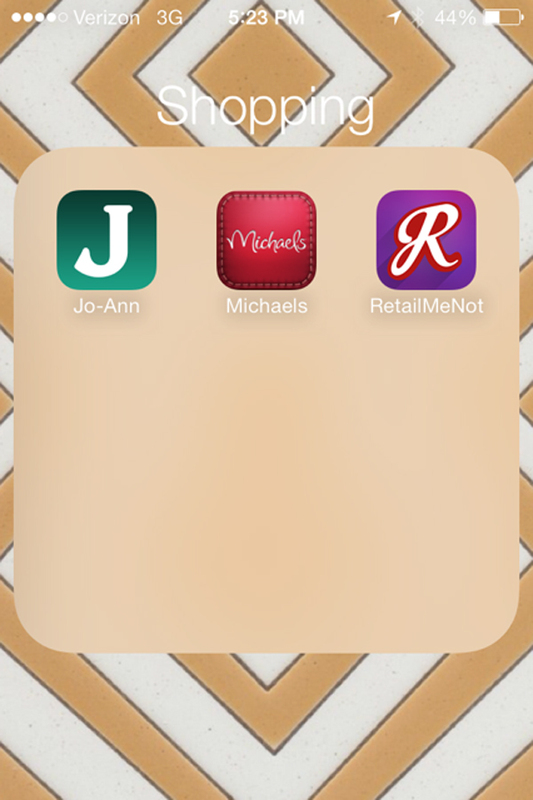 Download Joann’s, Michael’s, and Hobby Lobby phone apps (or scour the Sunday paper). They release weekly coupons. The phone apps are great, because you will never forget your paper coupons at home. Before getting all excited to use a coupon, make sure to check the coupon dates. Not only do they have expiration dates, they have start dates, too. The craft stores like to put out a few coupons at a time, but some may not be valid for a week or two. I don’t like to buy everything at once at these stores because you can only use one coupon at a time, meaning you can’t double up discounts and you can only use a coupon per item. My suggestion would be to pick an item on the list that you think you will use first. Go to the store to buy that item. While at the craft store, check around to see if any of the other checklist items are on sale. Look for sale prices that are 40-50% off (which is equal to the weekly coupon price). Stock up when you see high sale prices, because you can usually buy an unlimited amount at the sale price. Do this once a week to check things off your supply list without breaking the bank. Take advantage of back to school shopping in late summer/early fall. When back to school time rolls around, it’s time to stock up on glue, colored pencils, paper, markers, etc. All the stores are competing for your business on these items; therefore prices will be at their lowest. Shop post-holiday sales. We all know that holiday items are deeply discounted after the holiday is over. 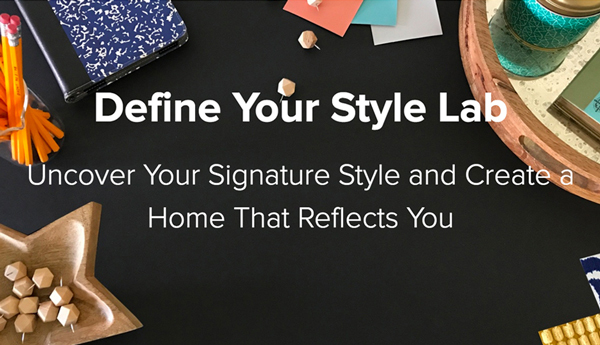 Think about the types of materials that go with each holiday. Stock up on glitter after Christmas, because everything is glittery for that holiday. Supplies in certain colors will be on sale after specific holidays, like black and orange stuff after Halloween and pink and red after Valentine’s Day. Sometimes you will be surprised to find general craft items in the holiday clearance section with their prices slashed. Don’t forget about online shopping. It’s easy, you can price compare, and it saves you gas money and time riding around town. It is also easier to buy items in bulk online. Some great online sources for craft supplies: Etsy, Amazon, Save-on-Crafts, Hobby Lobby, and Oriental Trading. Now that you are armed to the max with craft supplies, all bought on a budget no less, get crafting! And, don’t forget to enjoy it along the way! Megan began crafting at a young age – with her go-to supply of glitter (she had a very patient mother) since everything looks better with a little sparkle. Now she can’t get enough of creating crafts to bring a personal touch to her and her husband’s home. Don’t worry, there is still quite a bit of sparkle along the way (now she has a very patient husband). 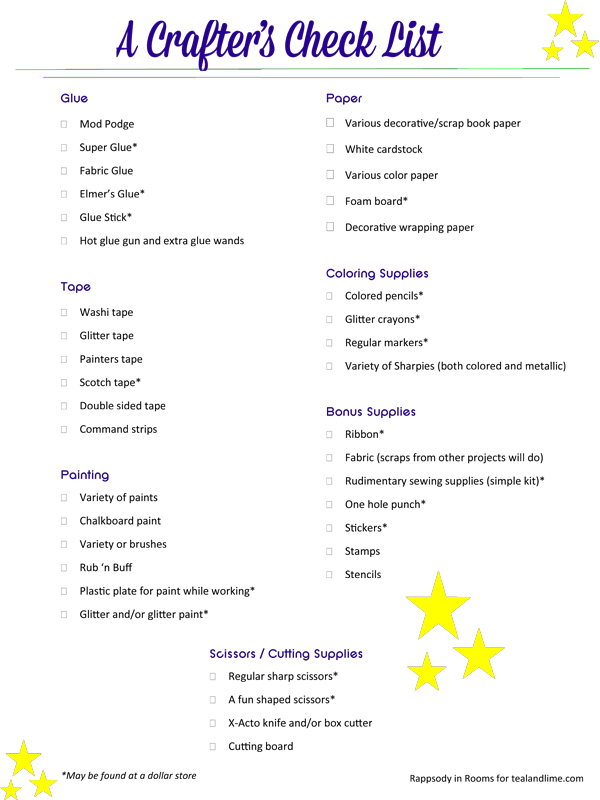 This is a great list of supplies for anyone interested in crafting. It’s so frustrating to want to make something and to have to go shopping before the project can begin. Having supplies on-hand totally solves that problem. Thanks Paula! It can take the crafting urge right out of me if I’m ready to craft and then have to go to the store to try and find a supply. Once I get home I’m usually spent. I try to plan ahead and get supplies on the day I’m actually not crafting! Great tips! 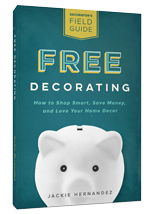 I had never thought about the post-holiday sales on craft stuff until recently. 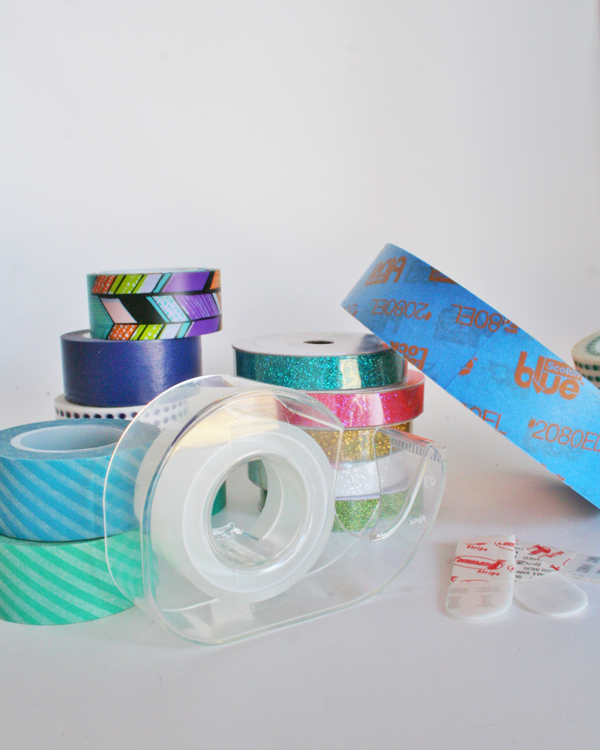 I was sifting through Target’s holiday stuff (that was 90% off at that point & thus VERY picked over) and stumbled across a bunch of washi tape (most of which was not even “Christmasy”) for 10 cents per roll (normally $3-$4)–score!!! Mary, Great score! It pays off to dig through those clearance bins. That is awesome Mary! Good find! It really is surprising how many “holiday” items can be pretty general. Great tips! I am always struggling with wanting to start new projects but needing to run out to get the supplies. A very good list for people starting out crafting. I have to take exception with one thing you said though, a glue stick is a glue stick, not true! I have bought cheap glue sticks and had items fall off of projects. Over time I learned which things I can skimp on and which I need to buy a brand name. Other than that I thought this was a great post and I am sure it will be extremely helpful to many crafters! This is a great post … I, too, get all ambitious about crafting, then realize I’m missing something. Thank you for taking time to put together this list! Thank you Angela! I hope you find it helpful! Happy crafting! When crafting turns ugly – I love that because it is so true! I just did a project that required a hot glue gun, thought I was out of glue, ran to the store only to return home and realize I had the glue all along. Maybe the checklist is just what I need! Haha Michelle! 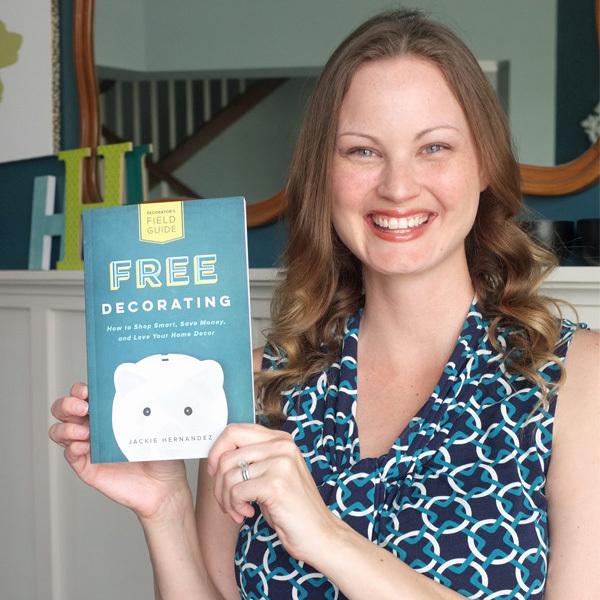 I’m so glad you could relate to the ugly side of crafting – which I try so hard to avoid since it really can get ugly for me! I’ve totally done what you have done as well! But think about how the months of hot gluing you have ahead of you! Thank you for this list. Some of the items I do not have yet. love that you included a downloadable checklist – so helpful! Love those post holiday clearance aisles! Also…I find tons of stuff at TJ Maxx, Marshall’s and Home Goods…usually it’s the same stuff that’s in the craft stores, but much cheaper…and even better in the clearance aisle. Those are great suggestions Sally! Those places can be great for supplies! This is smart! I really need to get a cutting board and xacto knife. Thanks for the checklist! So glad you found it helpful! It’s amazing what an xacto knife can do! I have found a lot of crafting supplies of all kinds at 2nd hand stores like Goodwill. Thanks for sharing Kathy! I’ve never really looked for craft supplies there. I will have to keep an eye out now! Love the list. I have 98% of everything on here, except the washi tape. Never really understood what it was for or how to use it. I guess I need to figure it and get some. Thanks for the list.